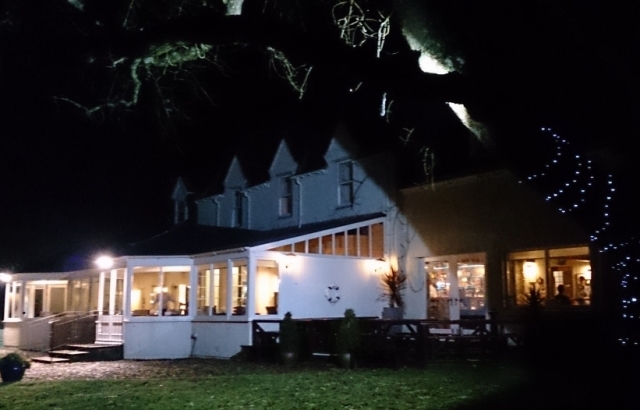 The Lake of Menteith Hotel & Waterfront restaurant is a real gem. 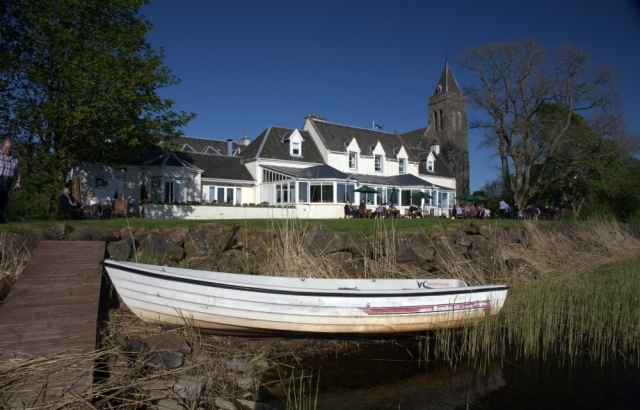 Situated on the banks of the only lake In Scotland, well into the Trossachs National Park. Yet you are only an hour from Glasgow and Edinburgh. The historic town of Stirling is also nearby. The hotel has a good size car park and, as you enter the lobby, you van immediately recognise the influence of the owners and design of the property as a New England Waterfront Bar. The muted colours reflect the magnificent views across Lake of Menteith towards the historic Augustinian Priory on the Isle of Inchmahome. The hotel's reception area is very homely and there are a number of displays including a small cabinet where you can purchase various interesting artefacts. From the reception area you enter into the lounge and bar where you will also discover the renowned Malt Vault. In the colder months there is a roaring open fire. 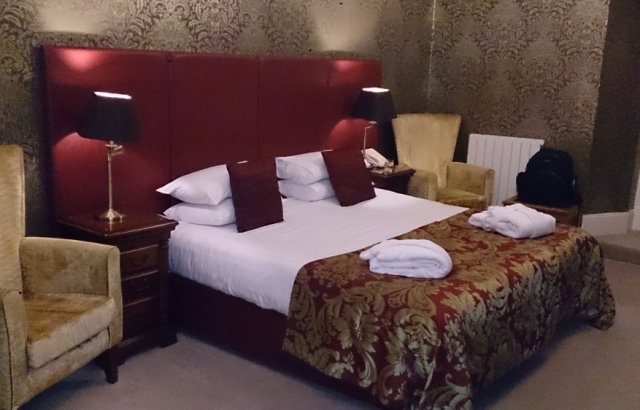 With the staff providing a real and genuine welcome, the entire ambiance is very inviting. Look around you and you will see some fabulous and interesting curiosities, see if you can spot the ducks in the bar ceiling! 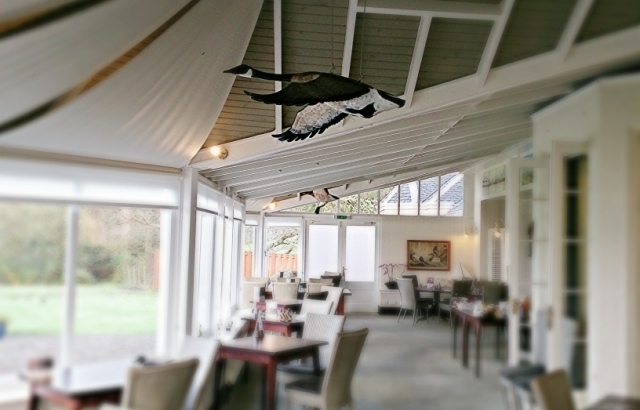 The ‘conservatory style’ open plan restaurant is beautifully set up with fabulous views across the floodlit grounds to the lake. The Chef is very passionate about using local produce wherever possible and the food is first rate. There are usually special dishes of the day available depending on what he has managed to source. There is a good selection of wines from the wine list including wine by the glass and half bottles. 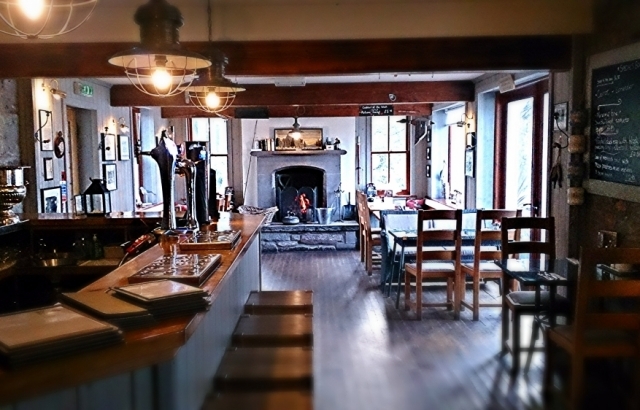 Diners can enjoy the menu either in the cosy bar or in the restaurant. The bar also has a good range of Scottish bottled beers, as well as draft beers and a selection of whiskies and other spirits. The Malt Vault is fascinating and unique addition, enabling guests to follow the well scripted tasting notes and enjoy some of the finest single malts that Scotland has to offer. The selection of bedrooms available include Lake Superiors and Lake Classics with panoramic views of the lake. The design is consistent and all rooms are well proportioned.